By watching this video you will learn more about how to use the ArchestrA Graphics "Show Graphic()" Function. 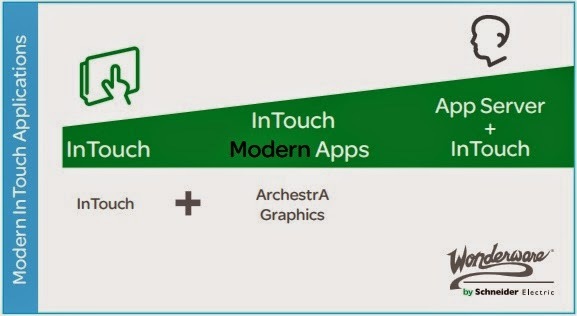 2014 R2 introduces a new type of InTouch application called ‘Modern App’ that provides the versatility, power and benefits of ArchestrA Graphics with traditional InTouch ease of use. Modern Apps make using ArchestrA Graphics very easy because the application is fully designed within WindowMaker, no IDE required. The improved development workflow enables engineers familiar with InTouch WindowMaker and Tag based applications to continue utilizing their standard design practices yet with the more flexible and powerful ArchestrA Graphics. The Modern App design workflow also shortens the training cycle for new design engineers. Design, distribute and enforce graphical component standards for greater application consistency and optimized application design and maintenance using Element Styles, Numeric Formatting, and graphic protection. The Situational Awareness Library of ArchestrA Graphics are a superior approach to presenting more information in less time to operators. 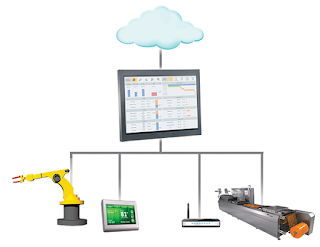 This enables operators to focus on more useful informational displays, shortens the time to identify a problem, and minimizes distraction and fatigue. This results in greater visibility to the most important situations, prevention of excursions from “normal”, reduction in disruptions and downtime, and greater focus on opportunities to improve performance, safety and reduction in costs of operations.